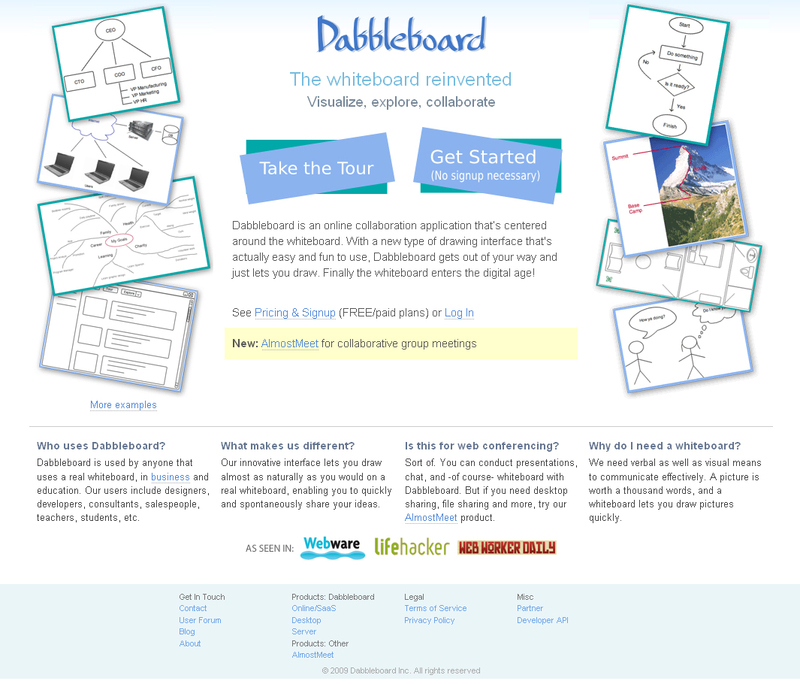 Just came across an online whiteboard service called DabbleBoard: http://dabbleboard.com/. 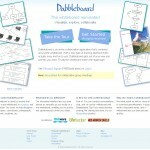 With the FREE account, you can create mindmaps, flowcharts, doodles, mark-up images by yourself or with others. Images can be downloaded as PNGs. Like many online services, the PRO accounts offer goodies, including unlimited storage space and privacy options. I didn’t find the maximum number of images you get for free. Maybe that information is available if you register for an account; I only played around with the draw demo. The Librarian in Black recommended it in a presentation about free web tools. Although that post is geared for broke public libraries, many of the site and services might be of interest to the Otis community.